So, as you may have noticed, I’ve been out of circulation for a while now. My friend Divya, who has been a Gurgaon resident for many years and has moved away just last month was nice enough to guest write a review of some of the beauty parlors in Gurgaon for this blog (thanks a tonne, Divya!) Here’s what she has to say. A beauty parlour is an essential for most women (will all male readers please excuse this observation!) and finding the right one can be on one’s wish-list for a while. As for me, I ‘almost’ found one many times but something or the other put me off it. I have recently started going to External Affaires in the Main Sector 14 market. It came highly recommended by a good friend who loves a good eyebrow. As a lot of women will agree, the criteria for a good parlour is how well they can sculpt your brow and take you from Ugly Betty to…well…whoever you want to be! My hunt for the perfect parlour followed the same rule so though there have been other reasons why I might have changed parlours, the brow would be the key! So, all in all this is a decent place for some of the small and regular stuff you need to get done, but not so much for a full once over! The next parlor on my list is Beauty Lounge in DLF Phase 3, next to the restaurant Italianos. This is a unisex place with separate areas for men and women. This one came highly recommended by friend so I went there despite the distance from my place. Though they have a decent range of services and a nice comfy setup, I’m terribly disappointed with this place because of their staff. One of their male staff really crossed the line by first trying to have an inappropriate conversation with me and hinting at “extra” services he could offer and then actually feeling me up while giving me a pedicure. Obviously, I will go out of my way to dissuade people from taking themselves and their business to Beauty Lounge. Finally, there’s Tangles, which is in the Malibu Shopping Plaza in Malibu Towne, Sohna Road. They offer all standard services as well as a hair spa with repair and treatment. This is a really nice place which offers very good hair services, especially haircuts. The ambience is also very comfortable. However, it is overpriced. I paid Rs. 280 to get my 6 year old daughter’s hair trimmed! So that’s the list. Thanks again for the review Divya! My personal favourite place to go has always been Finesse in DT Mega Mall close to the Bristol roundabout. I’ve been going there for almost 4 years now and haven’t been disappointed. It’s quite comfortable and relaxing though a little overpriced. I go there anyway though because they’re really clean and their staff is very friendly, courteous, and for the most part, quite competent. The biggest reason I go out of my way to go there is because there’s a lady there who does my eyebrows really well! (Have to agree with Divya on this one!). Another place that I haven’t visited too many times, but really liked is Bella Madonna in the Galleria building, attached to the Galleria market in DLF Phase IV. The place is super swanky, very clean, and very comfortable. They actually sat me down on a massage chair while shampooing my hair…how’s that for pampering! Obviously, this comes at a price…the place is quite expensive. Though I’ve only gone there for haircuts, I did look at their card and they seemed to have a wide range of services. By the way, there’s a guy called Satyaveer who does really good haircuts. So ask for him if you go there! As always, I would love to hear your comments, experiences, and feedback. ah so u're back! Welcome back and u can take me up on that offer anytime now. I just came across ur blog, and would like to know how did u add the categories section on ur blog. No problem, you're excused. Just kidding. You're right mostly women. I do however like the Pedicure Massage Chair. My wife got mad about my scratchy feet so she sent me to the spa for Fathers day. I didn't realize how much is involved in a pedicure. Well cleaned up MG!! How are you doing? Peenuts, this is just the label gadget added through the layouts tab on the blog. Every time you write a post, make sure you give it a label.I think that should work. Madonna was my TRUE BLUE find in Gurgaon. Precious the relaxation I felt there. FINESSE my Ex-Love for also more than 5 years .. gradually fell out because I thought they had deteriorated SO MUCH!! I loved Anne .. and she went off after she had her baby .. and I missed her .. And things got bad to worse .. dirtier, humid and hot, lazy helper staff .. ONE decidedly BAAD foot massage by the wrong fellow. OFF my charts .. I was ANGRY SO ANGRY with the wasted badly managed place that I took it out by not TIPPING THAT DAY .. stomped OFF .. Never to return again. LUCK WAS A LADY and led me to Madonna .. Planning to grow that relationship. I stay in Gurgaon too. I usually get my threading done from Finesse at megamall, though I prefer the Finesse at Metropolitan for the whole hog. Plum (in Renfrey building) is good too but they'r way too snooty which kind of put me off.I prefer the friendly faces at Finesse.And they give good services for their money, even if they'r a tad over-priced. hiiiiii Thank u so much for sharing information. 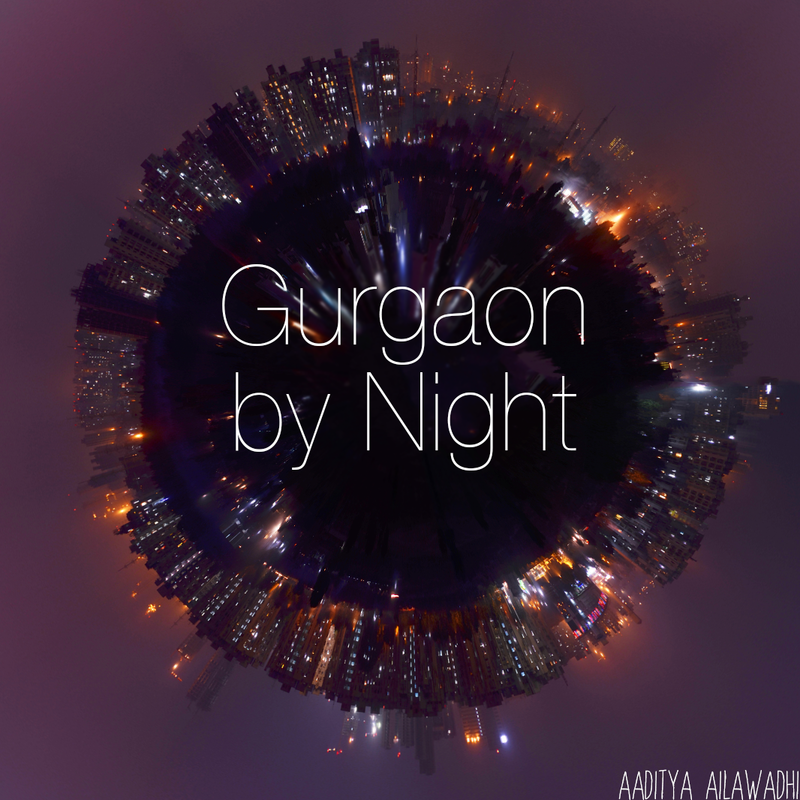 I m super new to Gurgaon and the only place i know is my own backyard. thanks again, pls keep sharing info. A new beauty parlor /unisex salon has opened in Galleria, just above HDFC Bank, called Blushes n Blaze. I just happened upon it today --- nice and friendly staff and owner. Though on the smaller size, it seems like they are going to put forth a good effort. My threading was very affordable and well done. L'Oreal hair products, an assortment of herbal facial products. It may be worth checking out as it was far more affordable than the higher-end places in Galleria. So far, Madonna has been my bet find too. All the services provided there are so relaxing and worth the time n money. The pedicure, massages and cleanups are just amazing. And just in case you are looking for a hair cut, believe this - Madonna is the place to be at. If you visit Madonna in Galleria - Gurgaon, ask for Yogi... he's an awesome hairdresser. hi, i came across your blog while doing a search and hoping you can help me. my brother is getting married at the leela kempinski in gurgaon and i'm looking for someone to come to the hotel and do hair and makeup at a reasonable price. can you make any recommendations? i'm having a hard time from canada! Hi Asha, I'm sorry I don't know anyone who would come over and do hair and makeup. I'm sure if you call the Leela folks, they should be able to help you with at least some numbers. The next bet would be to call Bella Madonna and ask if they do "house calls." Published your comment in case anyone else reading can help. this looks like a nice list but unfrotunately the only parlor thats closeby my place from this list is the on in b block market, south city 2.after reading about them having burnt ur leg, I don't even want to try it out ! I like plum but it's expensive and toooo far away from me. Hoping to run into a good salon here ! Has any one tried the below parlours? Hi !! !I stay out of India.Visit my Parents place. Finding good parlors is so tough . Really liked your blog. Helpful :-) But didnt see any further addition . Pls update if any . Have been to Lakme many times but its just a Franchise and think they are in low quality standard and service compare to Lakme in Priya , Vasant Vihar. Rates are just so expensive compare to their service. I wouldnt recommend . Madonna sounds great . Will try there this time. tried skn essentials? its tiny, but the facial is excellent! Hi! I have tried Bella Madonna at Sector 29. For beauty services such as waxing, facials etc. i always book appointments with Manju. She is very well mannered and does the job well. For hair cuts, Yakoob is quite good. However, the head massages/hair spa treatments and pedicures arent as good as the Galleria branch. The staff doesnt know how to do a good massage, this guy tried massaging my nose during a head massage! One guy almost burnt my scalp during a blow dry. So a mixed review. Go try your luck! I feel most of the Parlours are using local material in disguise of branded ones.Is there any place where I can get professional cosmetics and get service done at my home. Also I guess it will save a lot for me. Please share details of any vendor dealing in salon professional items. Please suggest a good parlour for facial....haven't got a facial for like past 6 months coz of my small kid...cant leave her n go....this weekend my husband is going to take care of her so i can pamper myself !! How are facials at Madonna Galleria ? I stay nearby so would be easy to go there....or if one can suggest any other parlor around DLF. Friends, I am Priyanka Manchanda. When I suffered from skin problem then I go many clinic centers but I did not satisfy from their treatment. Then I listen about klinikesthetika in Gurgaon from a friend. I visit there and I take this service and I find a best treatment in Skin Specialist in Delhi. Now I am very happy with this treatment. Thanks to klinikesthetika. hi, Its is very useful blog post for me. My sister getting married on 10dec. Thanks for shaing useful information. hey..this is a brilliant blog,very helpful. Am working on something like this.